NepRWA and the Town of Milton are partnering to clean up polluted stormwater runoff by upgrading Wendell Park with a series of six tree filter boxes. Installation will coincide with other street upgrades including small sections of curbing and deep sump catch basins. Work will begin and end during the spring and summer of 2018. If you live in Milton, you have likely driven past similar boxes that were installed along Lincoln St. and Brook Rd. in 2013. 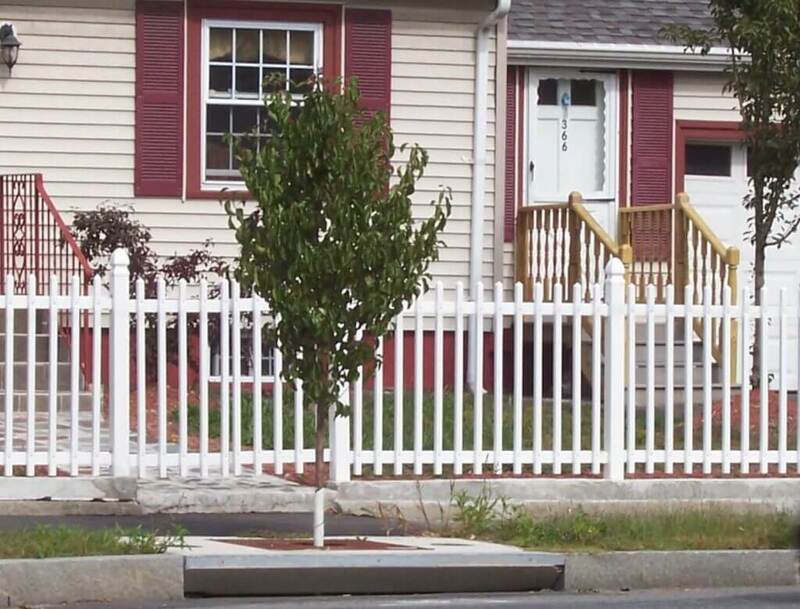 They look like regular street trees; however they are designed to serve a very important additional function. They clean up stormwater pollution. 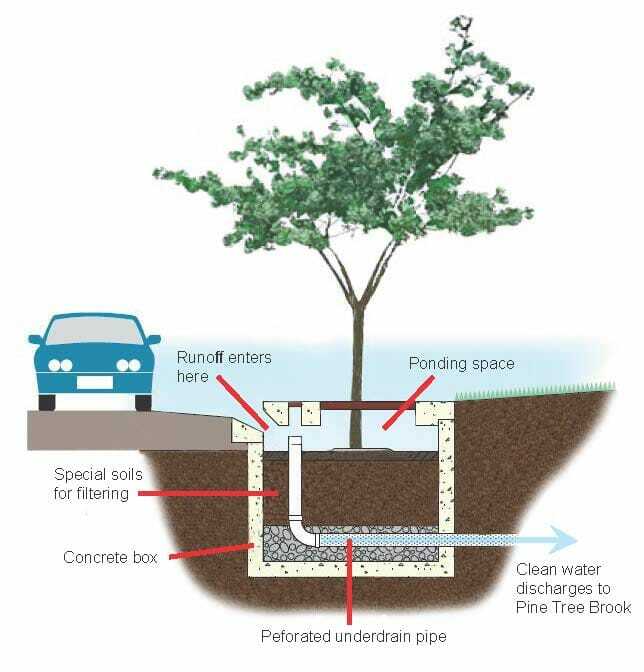 Tree filter boxes collect stormwater runoff from the street and use special soils and the tree itself to naturally capture and remove pollutants before discharging clean water to the river. Just like most towns in Massachusetts, Milton faces a problem with stormwater pollution. This occurs when runoff from parking lots, roads, driveways and sidewalks carries pollution into our waterways. Stormwater pollution can make water bodies unsightly, and unsafe for swimming, boating, fishing, and other recreational activities. The project has been financed with federal funds from the Environmental Protection Agency (EPA) to the Massachusetts Department of Environmental Protection (the Department) under an s. 319 competitive grant. The contents do not necessarily reflect the views and policies of EPA or of the Department.